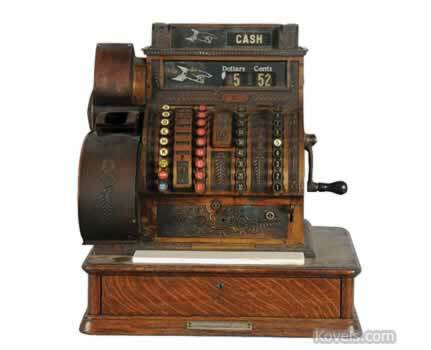 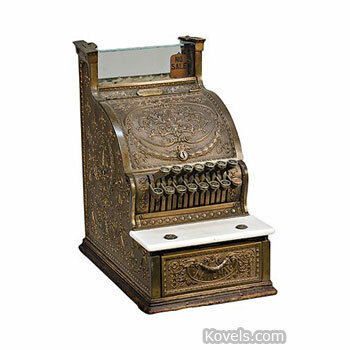 Cash registers were invented in 1884 because an eye on the cash was a necessity in stores of the nineteenth century, too. 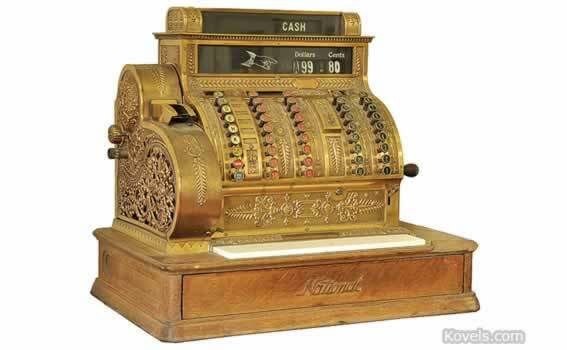 John Birch and James Ritty invented a large model that resembled a clock and kept a record of the dollars and cents exchanged in the store. 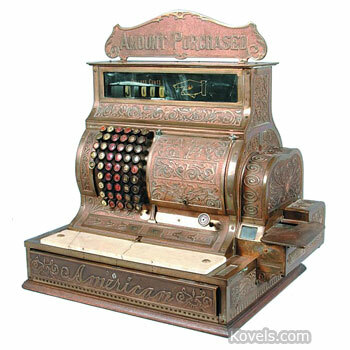 John Patterson improved the cash register with a paper roll to record the money. 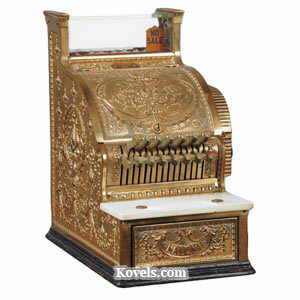 By the early 1900s, elaborate brass registers were made. 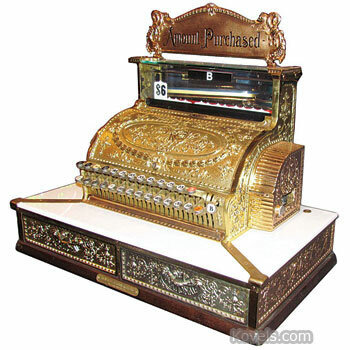 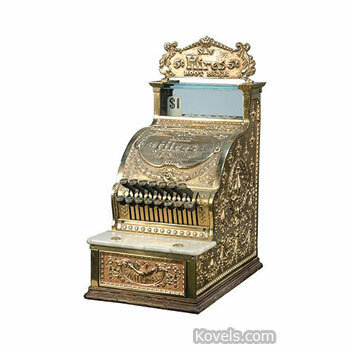 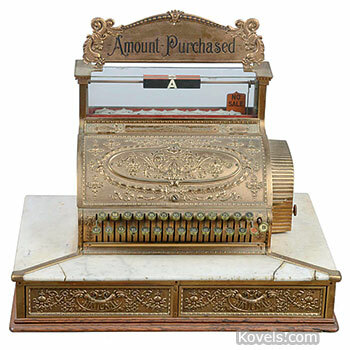 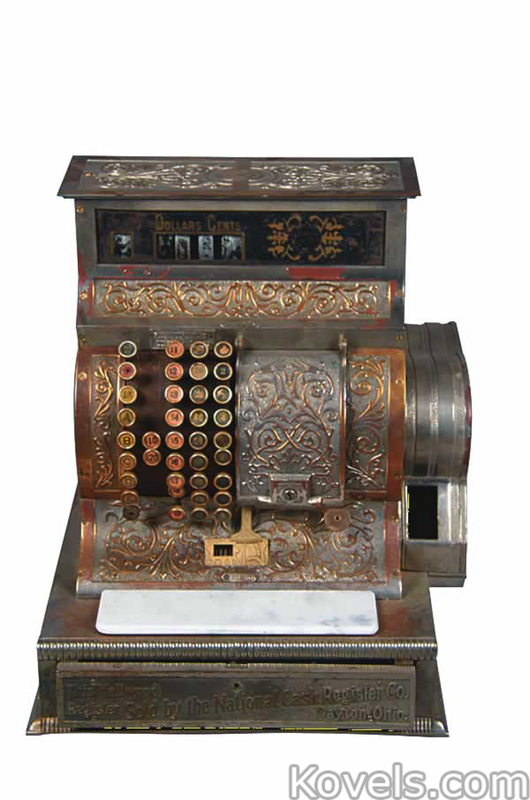 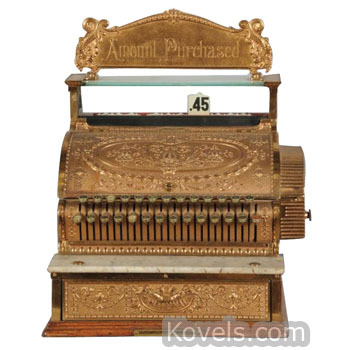 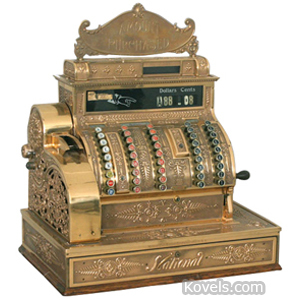 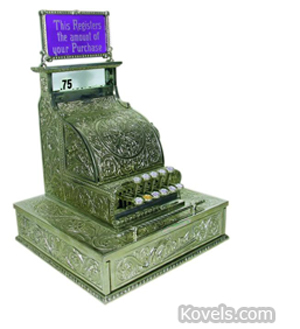 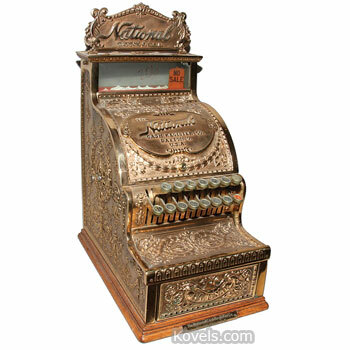 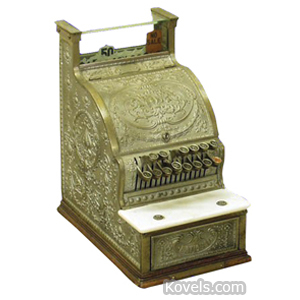 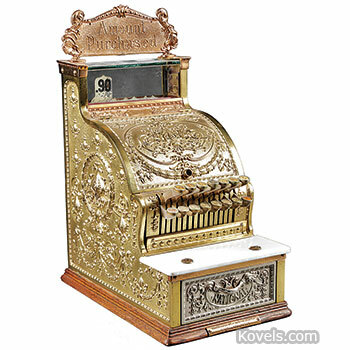 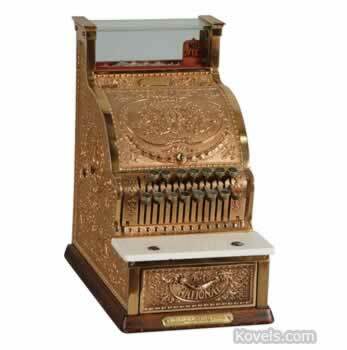 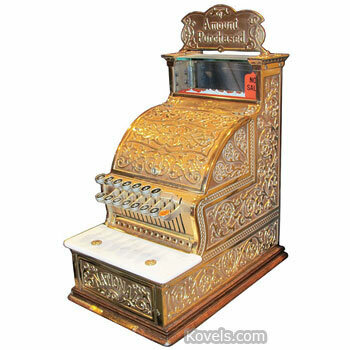 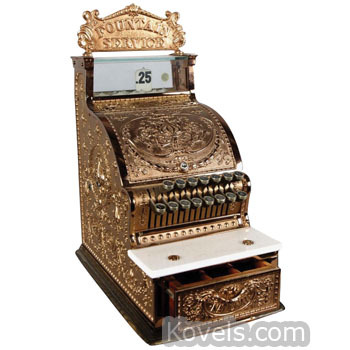 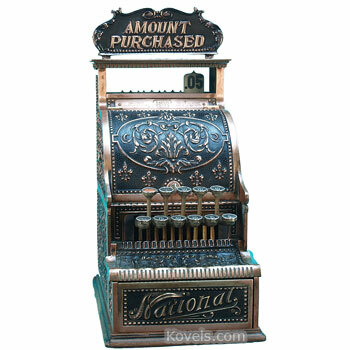 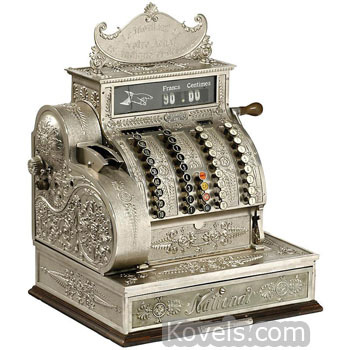 Cash registers became staples in most retail stores, and to provide stronger security measures, cash registers were made with elaborate cast-metal cases from 1888 to 1915. 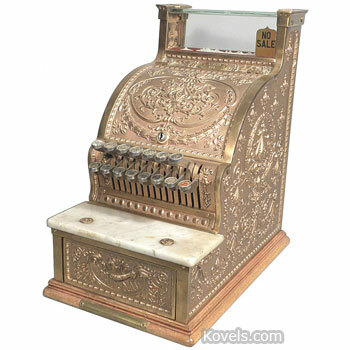 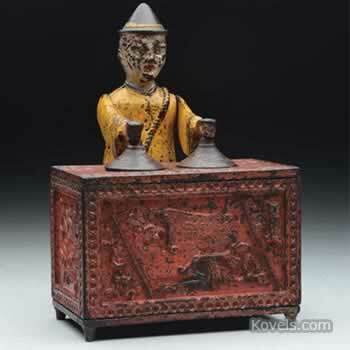 About World War I, the fancy case was exchanged for the more modern designs. 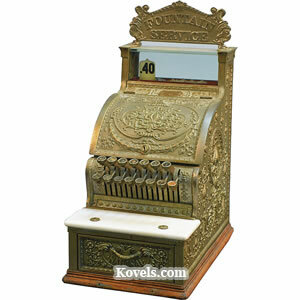 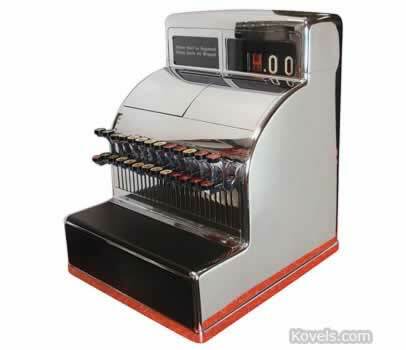 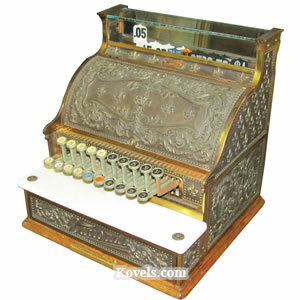 Cash registers made by National Cash Register Company are most often collected.